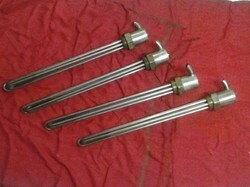 Prominent & Leading Manufacturer from Thane, we offer threaded immersion heaters and industrial immersion heaters. Being a client-centric organization, Threaded Immersion Heaters are offered to our profound customers. usage. We supply our esteemed customer a wide range of immersion heater to heat up liquids as well as petroleum medium in desired period. Looking for “Industrial Immersion Heaters”?